It's been a busy month y'all. I have so many things to share, but just haven't taken the time to do so. Stick with me. Also, Monday is my birthday! Yay! 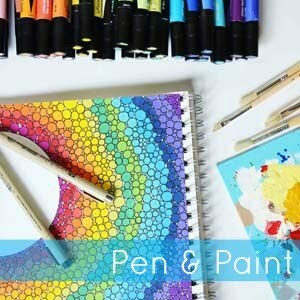 Pen & Paint orders through 3/31! Use the code HAPPY32. Also, do you follow along on Instagram & Facebook? You should! There are some fun celebrations happening over there too.